Pu Luong is a wild tourist attraction that is very famous in recent years. Not only is it an attractive wild area but also a nature reserve that has scientific, socio-economic and ecotourism values. Let's discover more about this destination! 1. Where is Pu Luong? Pu Luong Nature Reserve is a new tourist destination, located in Ba Thuoc and Quan Hoa district, in the northwest of Thanh Hoa province, about 130 km northwest of the city center. To the north and northeast,Pu Luong is bordered by 3 districts: Mai Chau, Tan Lac and Lac Son of Hoa Binh province. 2. What is the best time to visit Pu Luong? Pu Luong is beautiful all year round, but the best time to visit Pu Luong is in May, June, September and October. In May, June: Pu Luong is in summer, but the weather here is extremely cool, the temperature is always below 20℃. Coming here this time, you will see the green of young rice fields, looks very fresh and nice. In September, October: This time is in harvest, when visitors can admire the golden rice terraced fields spreading along the mountains. A fertile and peaceful sight will please you. 3. How to go to Pu Luong? If you depart from Hanoi and northern provinces: you can follow in the direction of Xuan Mai, Luong Son, Hoa Binh to Lac halmet, Mai Chau then continue to Co Luong, Dong De, then turn to 15C road, go along Ma River to get to Pu Luong Nature Reserve. If you depart from Thanh Hoa and central or south provinces: you go along the Ho Chi Minh Trail, turn right inCam Thuy then go straight to Canh Nang, turn to 15C road and take another 10km to get Pu Luong. 4. Where to stay in Pu Luong? 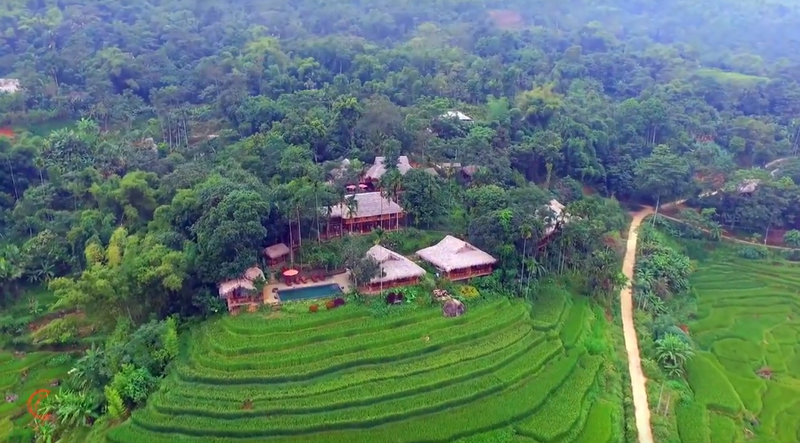 Pu Luong is an ideal eco-tourism destination for people who love nature and indigenous culture. Therefore, if you travel to Pu Luong, you can choose to stay at homestay in Kho Muong, Kiet, Bang hamlet ... to have more interesting experiences.The price for this service is about 50.000 VND /night /person. In addition, you can choose to stay at Pu Luong Retreat, one night at the collective stilt house is about 320,000 VND/person and one night at Bungalow is about 1.4 million VND/room. As an ecotourism destination,there is no television, no air conditioning or refrigerator here... But it is so clean, airy, still has basic facilities and wifi. Once you come here, you will realise that you do not need anything called TV, refrigerator or air conditioner anymore! 5. What is attractive in Pu Luong? Pu Luong is the name by the Thai people, meaning the highest mountain in the region. Pu Luong peakis over 1.700m high, this is passion for people loving adventurous journeys. In this place, the French colonialists used to build the flight path to run away and there lots of historical stories about it that just few people know. Standing on the top of Pu Luong is really a great feeling, you can get the whole view of majestic mountains, majestic fields, valleys underneath into your eyes. 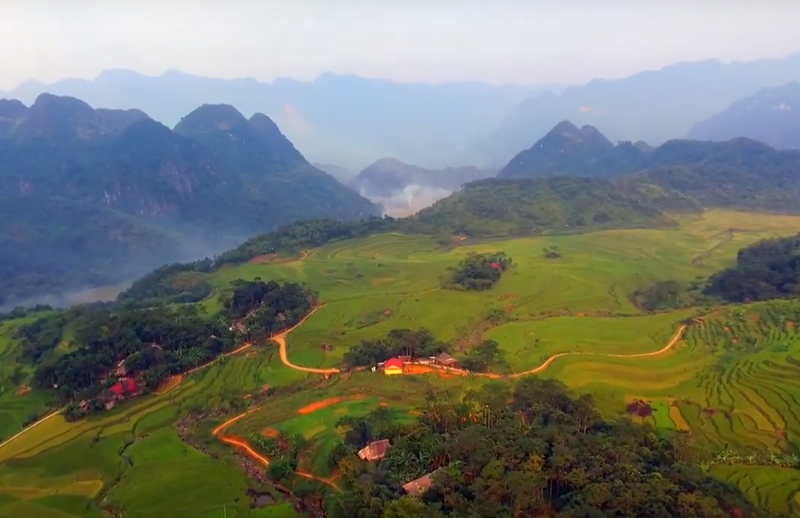 Located at an altitude of about 1,180m, the hardship and splendid beauty of high mountains make Son Ba Muoi separate from the outside world, but is irresistible to visitors. 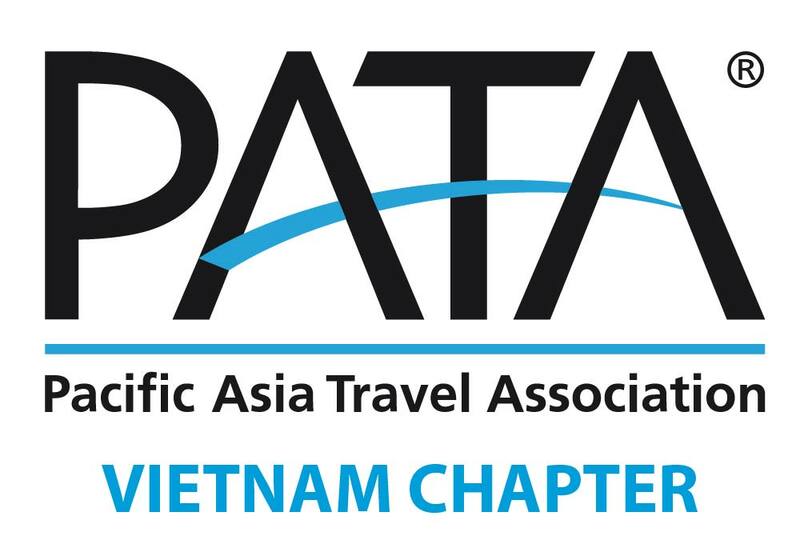 The journey to "Sapa in Thanh Hoa" is indeed difficult and challenging because the slope is so steep, the forest is so dark, everythinglooks soadventurous. However, when you are in there, the peaceful villages full of flowers, the terraced fields winding underneathwill dissolve all your tiredness. Kho Muong is a wild valley in the buffer zone of Pu Luong Nature Reserve, where the White Thai have settled and lived for a long time. Coming to Kho Muong, tourists not only admire the beautiful wilderness, cool in summer, warm in winter but also have the opportunity to experience the traditional Thai culture, enjoy famous delicious specialties of this place. When visiting Pu Luong, visitors should not miss the opportunity to participate in Pho Dau market held on Thursday and Sunday every week. This market is not only a place to purchasebut also to meet, exchangecultural of ethnic people: Kinh, Thai, Muong, ... The goods here are mainly self-sufficient and people can exchange items of the same value. When you come to Pu Luong, do not skip the chance to immerse yourself in the local life of the Thai, Muong. The hospitality, friendliness of local people will make you more comfortable and closer. You will also have the opportunity to enjoy xoe dance, bamboo pole dance, folk songs and delicious specialties here. This is definitely a memorable trip in your life. 6. What to eat when visiting Pu Luong? In Pu Luong, there are many local dishes: hill chicken, sour bamboo shoots, bitter bamboo shoots, bamboo cooked rice, banana inflorescense salad... that you can order right where you stay overnight, the price is about 80,000 VND /set. The three most delicious dishes in Pu Luong you definitely have to try are bitter soup, hillchicken orstream duck andtube wine (wine drunk out of a jar through pipes). Bitter soup is made from kind of bitter leaves in the forest, often cooked with chicken. It’s really difficult to eatfor the first time. However, after bitterness passes, you will feel smooth and sweet on your tongue. Bitter soupis considered as specialties of Thanh village in general and Pu Luong in particular. Hill chicken, stream duck are simply chickens and ducks are naturally fed, often run and mainly feed in the wild so the meat is very firm and fragrant, different from thosefed in the cage. It is cooked in many ways such as boiled, roasted, grilled, fried with bamboo shoots, steamed leaves ... All are so delicious. Tube wine is a specialty in Pu Luong. Wine is made from cassava yeast and spring water, has a very strong pungent taste. At every meal, the host will use tube wine to welcome guests, and if you are invited to drink this wine, feel happy. Remember to see the weather forecast and plan to visit Pu Luong on sunny anddry days, should not go to Pu Luong on rainy days because the road will be very muddy, difficult to move. For the convenience of traveling in Pu Luong, you should choose comfortableathletic shoes, choose comfortable clothing, good absorbent, but bot too short because it’s quite cold at night and there are mosquitoes here. Always bring medicines for car sickness, headache, cold fever as well assunscreen and insect repellent. If you travel by motorbike, always remember to fill up the tank because the distances among sights here are quite distant so it will take quite a long time. In mountainous area, it gets dark early and fast (it starts to get dark from 5:30 pm), besides, mountain roads are difficult to move, there are not many street lights, so you’d better return your accommodation early.